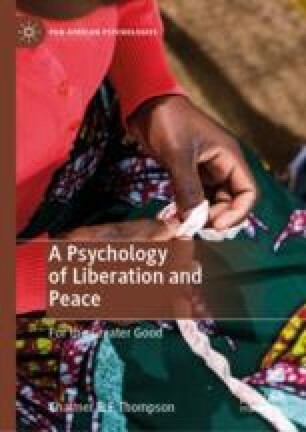 The companionship with hope and despair to which West refers is likely experienced by liberation-peace wagers around the world. Ambitiously, they seek an end to racialized violence and other structures that exploit, dehumanize, and tear down people. They out-wrestle despair with hope as they build communities that outlive individuals, knowing that they may not see substantive change from their work in their lifetime. BondGraham, D. (2018, May 30). Pamela price supporters allege Oakland police union is racially targeting voters with email blasts. East Bay Express. Retrieved from https://www.eastbayexpress.com/SevenDays/archives/2018/05/30/pamela-price-supporters-allege-oakland-police-union-is-racially-targeting-voters-with-email-blasts. CNN. (2011, November 10). Researchers: African-Americans most likely to use physical punishment. https://www.cnn.com/2011/11/10/us/researchers-african-americans-most-likely-to-use-physical-punishment/index.html. Democracy Now. (2017, December 20). Kali Akuna in the struggle for economic democracy and black self-determination. Retrieved from https://www.youtube.com/watch?v=011-NhDGn8k. Fanon, F. (1959). Reciprocal bases of national culture and the fight for freedom. Speech at the Congress of Black African Writers. https://www.marxists.org/subject/africa/fanon/national-culture.htm. Fisher, M., & Keller, J. (2017, November 7). What explains U.S. mass shootings international comparisons suggest an answer. New York Times. Retrieved from https://www.nytimes.com/2017/11/07/world/americas/mass-shootings-us-international.html. Lankford, A., & Madfis, E. (2017). Don’t name them, don’t show them, but report everything else: A pragmatic proposal for denying mass killers the attention they seek and deterring future offenders. American Behavioral Scientist. Retrieved from https://doi.org/10.1177/0002764217730854. Malcolm X Grassroots Movement. (n.d.). https://www.mxgm.org/. Payne, Y. A. (2014). Walk with me, a community development project. TED Talk. Wilmington, DE. https://www.youtube.com/watch?v=PXNQ2C_d27A. Pettit, B., & Sykes, B. (2017). Incarceration: State of the union 2017. Pathways: The stanford center on poverty and inequality poverty and inequality report, race and ethnicity. https://inequality.stanford.edu/sites/default/files/Pathways_SOTU_2017_incarceration.pdf. RT America. (2018, March 4). The radical transformation of Jackson, Mississippi with Kali Akuno. On contact with Chris Hedges. Retrieved from https://www.youtube.com/watch?v=O2Ew8Qi0ADY. Sanchez, R. (2018, May 23). Indianapolis FOP pledges $25 K for police interaction campaign. RTV 6. https://www.theindychannel.com/news/local-news/indianapolis/indianapolis-fop-pledges-25K-for-police-interaction-campaign. Stevenson, B. (n.d.). Ending the problems of fear and anger. Equal Justice Initiative. www.eji.org/mass-incarceration. The Brady Campaign to Prevent Gun Violence. (2018). Disarming domestic violence: The impact of federal loopholes in abuse cases. Retrieved from http://www.bradycampaign.org/disarming-domestic-violence. The Brady Campaign to Prevent Gun Violence. (2019). Gun violence. Retrieved from http://www.bradycampaign.org/gun-violence-0. The People’s Report. (n.d.). The People’s Report. www.thepeoplesreport.com. Trouillot, M.-R. (1977). Ti difé boulé soul istoura Ayiti. http://ufdc.ufl.edu/AA00013260/00001. Wilson, K. (2018). New Orleans pop-up confronting white diners with their privilege. Eater. https://www.eater.com/2018/3/1/17067350/tunde-wey-saartj-new-orleans.